Visit the Library to browse and purchase books. You will save on book shipping. ***SALE*** Purchase your posters at the Library and save 50% (only $10 per poster)! Since its founding in 1974, the library/archives has become an important repository of the history of the Presbyterian presence in the Southwest. Researchers come from all over the U.S. and from foreign countries. The holdings include: books, periodicals, photographs, pictures. artifacts, tapes/transcripts, manuscripts, memoirs, correspondence, records of organizations and other memorabilia. Over a century ago Presbyterian Missionaries came to the Southwest from the East. Churches were organized. Presbyterian schools were started. Medical work was begun. Menaul Historical Library was established to preserve this heritage in a way that would make it available to friends and researchers. 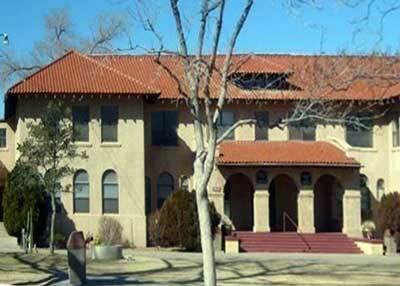 The library operates under the auspices of the Menaul School Board of Trustees, with Menaul School providing a suite of rooms in Bennett Hall, along with utilities and administrative support. Other support comes from friends and donors nationwide. Please make checks payable to the "Menaul Historical Library" and mail to the following address.